This brand-new inspiring read from author and speaker, Elizabeth Oates, is written for women who have struggled with self-worth and self-esteem. Whether they've grown up in a dysfunctional family or simply have bought into the lies sold by today's media, If You Could See as Jesus promises women hope...joy...lives of purpose...and more. 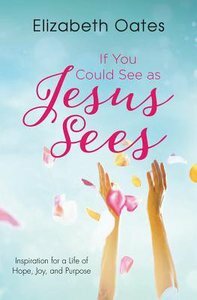 About "If You Could See as Jesus Sees"